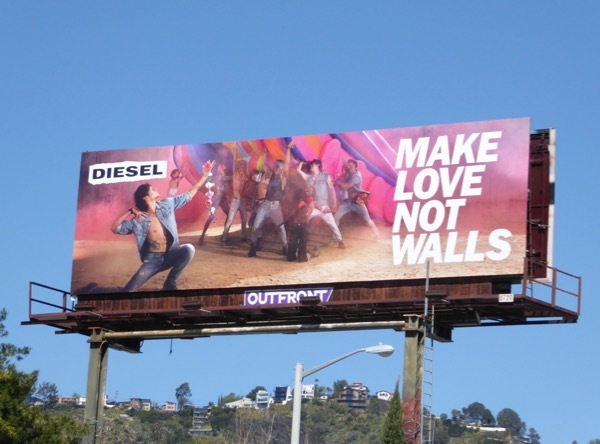 In a world that continually seems to want to isolate itself by building walls and exiting political and economic unions due to fear, hatred and ignorance, this Diesel Spring/Summer 2017 fashion billboard is a breath of fresh air in Southern California's skies. 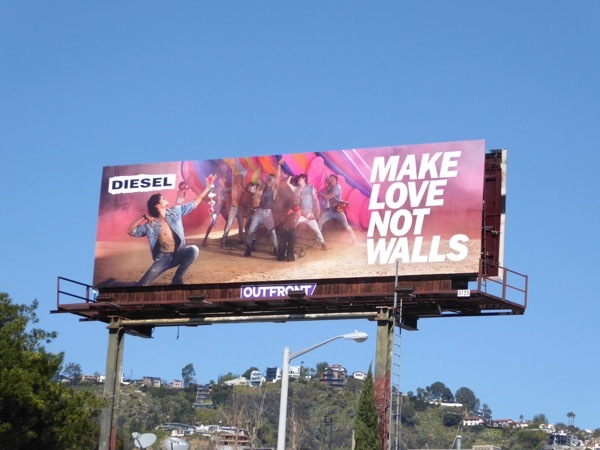 The Italian clothing brand's TV commercial featuring Ukranian ballet dancer Sergei Polunin debuted during this year's Super Bowl, and just like this outdoor ad creative wonderfully trolls Donald Trump's xenophobic plans to build a multi-billion dollar wall between America and Mexico. This timely, vibrant billboard was snapped brightening the skies above West Hollywood's Fairfax Avenue on March 1, 2017. 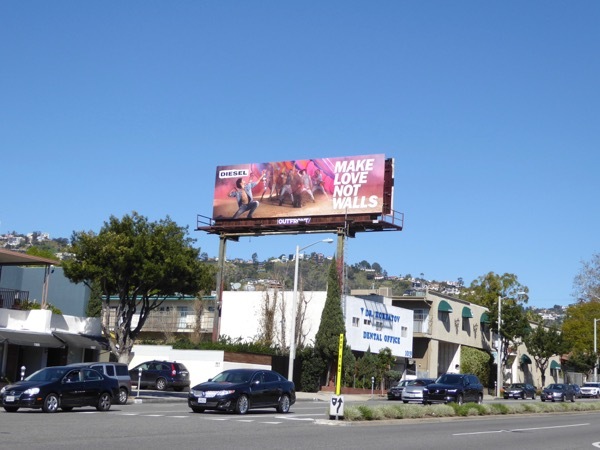 'Make love not walls' may be a clever play on 1960s hippie anti-war slogan 'Make love, not war' and this billboard may be designed to sell clothes, but it certainly captures the liberal spirit of those who believe in compassion, equality, unity and justice around the globe at the moment.